Within Teamwork Desk, you can delete an inbox via the inbox settings. Click your profile icon in the top right corner of your Desk account and select Settings from the dropdown. In the settings area, select the Inboxes tab at the top, and choose the inbox you want to delete. You can also access the inbox settings from the Tickets area of your Desk account. In the left sidebar, hover over the name of the inbox you want to edit, and click the cog icon that appears to the right. The Edit Inbox option will be selected by default. 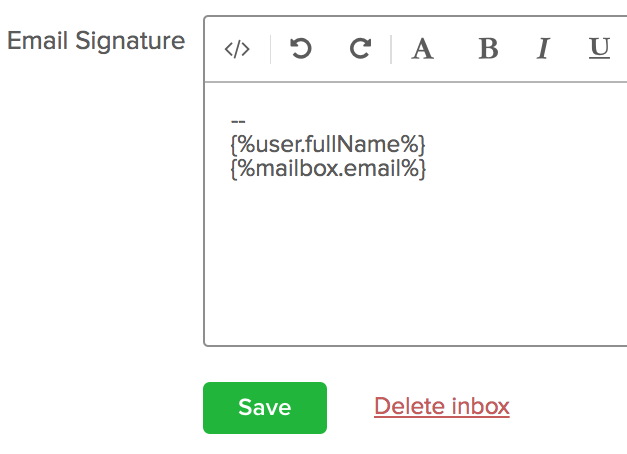 Scroll to the bottom of this section and you will see an option to Delete inbox below the email signature field. Once you select the delete option, a confirmation modal will appear. If there are existing triggers set on the inbox you are deleting, you will be alerted to the trigger dependencies. Note: Deleting an inbox with triggers will remove the dependency between the inbox and triggers.